Who will benefit from enrolling in the Children’s Ministries Institute® (CMI®)courses? Those seeking vocational career opportunities with Child Evangelism Fellowship® (CEF®). Missionaries or missionary candidates who need a more specialized preparation for church planting or other church growth strategies which involve ministries to children. Children’s pastors; directors of children’s ministry; Christian education directors and children’s ministry leaders in a local church, denomination, or parachurch ministry. Teachers, parents and others interested in evangelizing and discipling children. Those desiring to enhance ministry and leadership skills through continuing education. Note: If you are not from the United States of America, you may want to consider getting training at one of our international locations. High school graduates eighteen years of age or above. College graduates and career people who desire a fresh challenge and specialized training after having completed their formal college degrees. Because of the intensive nature of CMI courses, at least one year of Bible Institute or college is highly recommended. Applicants should have a strong biblical background and evidence maturity and capability to handle the course work. All applicants should be in agreement with the Child Evangelism Fellowship Statement of Faith/ Doctrinal Protection Policy/ Worker’s Compliance Agreement. Any clarification concerning the CEF doctrinal position should be discussed with the director before application is made. Since the purpose of CMI is to train men and women to be leaders in children’s ministries, prospective students must confirm the fact that they have accepted the Lord Jesus Christ as personal Savior. In addition, applicants must give evidence of a lifestyle which is consistent with Christian principles. Students of CMI are required to refrain from the use of tobacco, alcoholic beverages, narcotics and moral laxity. 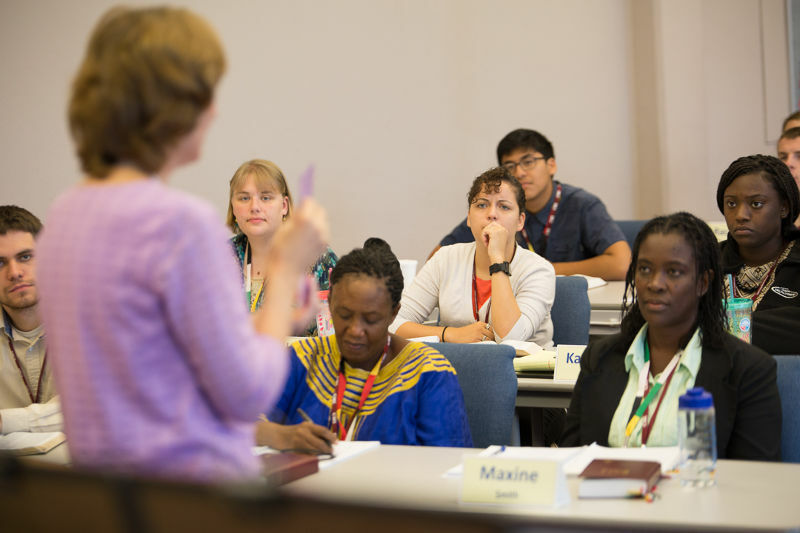 The Children’s Ministries Institute admits students of any race, color, national and ethnic origin to all the rights, privileges, programs and activities accorded or made available to CMI students. Note: Attendance at CMI does not necessarily guarantee employment with Child Evangelism Fellowship.